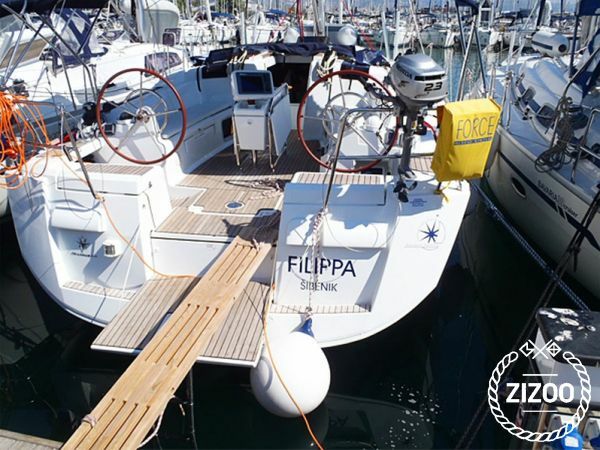 For your next holiday on the Croatian coast, book the Filipa today. This 2011 Jeanneau Sun Odyssey 439 features 4 cabins that sleep 8 comfortably, 2 bathrooms, a cosy salon and a well-equipped kitchen to prepare all your favourite local snacks and delicacies. Besides Dalmatian prosciutto and delicious Istrian cheeses that have become synonymous with this land, why not go olive picking in the fall on the island of Murter, or enjoy delicious figs from the Island of Solta. To explore some of the other flavours and cuisines from the region be sure to visit some of the local restaurants. Not far from Sibenik, where the Filipa is based, is Tomislav, in the town of Boraja, a restaurant that serves the best lamb on the Adriatic coast. Or for a completely different flavour experience, sail over to Vis and try their local specialty, bean and squid stew - it may not sound like a heavenly combination, but, trust us, the taste is absolutely out of this world. For more insider perspective, don't hesitate to contact the friendly charter crew.